The Huawei's Honor brand has start rolling the Android 7.0 Nougat update in the United States to the flagship Honor 8 smartphone starting today. The company is rolling the new Android 7.0 Nougat based MIUI 5.0 UI on top to the Honor 8 smartphone. This new update brings new changes to the device including the new App drawer, recent apps, new Home-screen Interface, the App Twin feature and some other features as well. The update is currently rolling out only in the United States and is expected to be available soon in other regions as well. The company also notified the user via their Twitter page post. 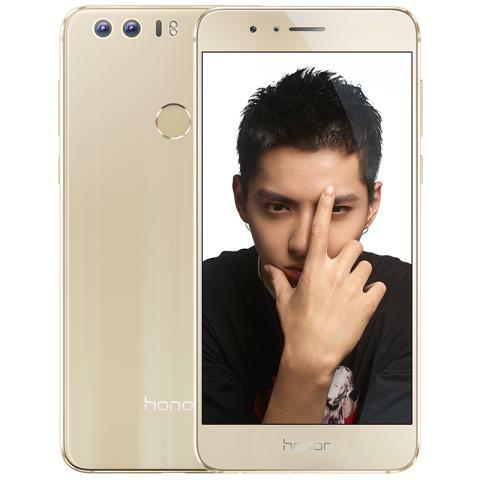 The Honor smartphone was launched in August last year in the US with a $399.99 price tag. The Honor 8 was announced with Sapphire Blue, Pearl White, and Midnight Black color options. It comes with a 5.2-inch full HD 2.5D curved glass display with 96% NTSC color gamut and 1920 x 1080 pixels resolution. It is powered by the octa-core Kirin 950 (2.3GHz 4 x A72 + 1.8GHz 4 x A53) 16nm processor with Mali T880-MP4 GPU. It comes with 4GB RAM and 32GB/64GB inbuilt storage options while the 3GB RAM variant is currently unavailable in US. It comes with microSD card expandable storage up to 128GB storage and runs on Android 6.0 (Marshmallow) OS out of the box with EMUI 4.1 on top. It features a 12-megapixel dual rear cameras with dual-tone LED flash, Laser AF, f/2.2 aperture, 6P lens and 1.4um pixel size. An 8-megapixel front-facing camera is also available with f/2.4 aperture and it is backed up by a 3000mAh battery with fast charging enabled. Connectivity options includes 4G LTE, Wi-Fi a/b/g/n/ac (2.4GHz and 5GHz), Bluetooth 4.2, GPS, NFC and USB Type-C. It measures 145.5 x 71 x 7.45 mm and weights 153g. The Honor 8 also comes with a metal frame with glass back and features a fingerprint scanner on the rear side. It also comes with a Infrared sensor. The company also launched some variants of the Honor 8 including the Honor 8 Lite and Honor 8 smart. There is no news available if the Android 7.0 Nougat based MIUI 5.0 will also be available for other Honor smartphones and when.